LOS ANGELES — With his attempts clanking off the rim nearly on every shot, a frustrated Jordan Clarkson ran past the Lakers’ bench and told coach Luke Walton regarding the state of his stroke. “My shot is broke,” Clarkson said. So after concluding a 1-of-9 shooting performance against the Clippers on Tuesday, Clarkson spent the next two days staying in the gym to fix his shooting accuracy. Clarkson maintained he did not make any changes to his routine or shooting form. He just kept his repetitions high. All of a sudden, Clarkson looked like a changed man in the Lakers’ 130-119 overtime win over the Minnesota Timberwolves on Friday at Staples Center. Clarkson posted career-highs in points (35), field goals made (13-of-20) and 3-pointers (8-of-10), while also posting five rebounds and three assists. He joined Jordan Farmar and Glen Rice as the third Lakers player since 1983 to make at least 8 3-pointers on 10 or fewer attempts. And he steered the Lakers through bumpy waters in both overcoming a 15-point third-quarter deficit and prevailing in extra regulation. That hardly was the case against the Clippers. He missed his first eight shots. He did not make a field goal with 3:20 left in the game. And Walton lamented Clarkson that did not find a way to positively impact the game to compensate for his poor shooting night. All of which helped fuel Clarkson’s bounce-back game. One of his 3-pointers gave the Lakers a 114-109 edge with 3:32 left in overtime. After Lakers guard David Nwaba split a pair of foul shots, Clarkson then added a left-handed layup for a 117-109 cushion with 2:43 remaining. Clarkson then added another drive to the basket for a 119-112 lead with 2:06 left. Clarkson prevailed in crunchtime despite, or perhaps because of, playing through the entire second half and overtime period without a single break. Walton believed Clarkson will crack that puzzle for two reasons. Walton also likes Clarkson’s hustle. After a rare night he offered none of those qualities against the Clippers, a deflated Clarkson rediscovered his swagger and productivity through a few simple steps. 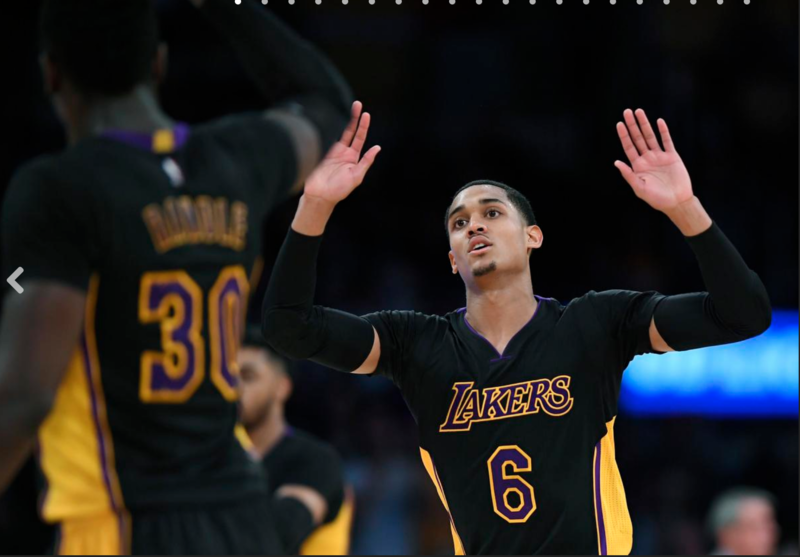 While Walton tried instilling confidence in Clarkson with feedback, he instilled his own confidence by seeing his shot go in through subsequent practice sessions. Who will be the next Laker to receive a statue? Lakers podcast: What does Shaq’s statue say about his legacy? Follow L.A. Daily News Lakers beat writer Mark Medina on Twitter and on Facebook. E-mail him at mmedina@scng.com. Subscribe to the “We Want Tacos” podcast on iTunes.